Are there reasons to use a multivitamin? Does that mean every single person should use one every single day? Multivitamins have a place in the treatment of many people, but that does not mean that you need to be using a multivitamin every single day. Where does this idea behind using a multivitamin daily come from? The makers of multivitamins would have you believe that you may be missing out on critical nutrients required for longevity and a healthy life. And if you don't consume a multivitamin that you will be missing out on these nutrients. To some degree, but it may be blown out of proportion. The main idea behind using a multivitamin loaded with basic vitamins and minerals is to help augment your existing diet and lifestyle to help you reach the 100% RDA. The RDA (which stands for recommended daily allowance) is the value given to each mineral and nutrient and expressed in a % on the package label of all foods and supplements. This value represents the amount of a given nutrient that you should consume daily which is considered to meet the requirements of 97-98% of healthy individuals. In simple terms, it means that you should try to naturally consume the RDA of all given vitamins and nutrients naturally to maintain optimal health. Obviously, there is some wiggle room as some people will need more and some people will need less than the RDA for any given nutrient (the RDA only covers 97% of people). 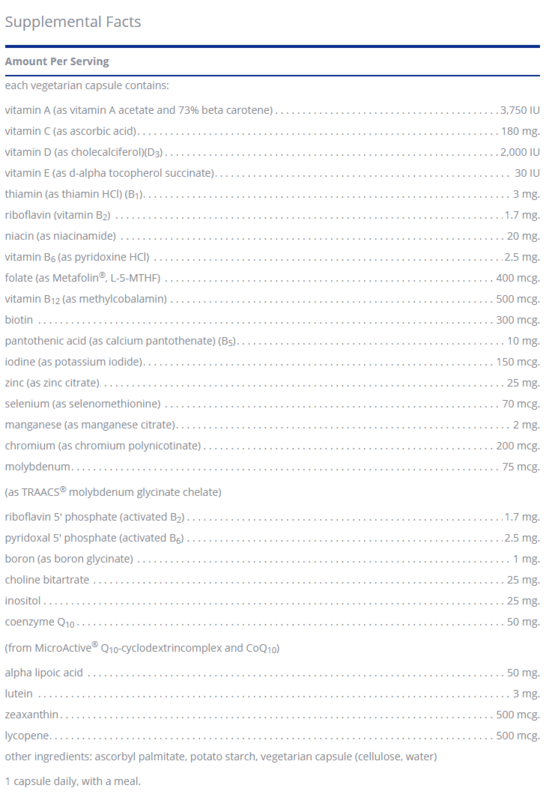 The RDA for B12 is 2.4 micrograms which means that in order to get 100% of the amount of B12 you need to be healthy your supplement should contain AT LEAST that amount. This sounds good in theory but it breaks down when you apply it to everyday life. For many reasons, but one very important reason has to do with the widespread use of pharmaceutical medications. Certain medications (even common medications such as acid blockers) prevent the absorption of nutrients such as B12 which may increase the amount of B12 you need to consume to achieve adequate tissue levels in your body. The answer is maybe, but probably - at least for a short period of time. We already discussed how medications influence the demand for certain nutrients and minerals in your body but it turns out there are other reasons you may want to consider the use of a multivitamin. It's well known that many Americans may suffer from sub-optimal levels of nutrients due to a variety of reasons. Among these reasons includes the depletion of the soil of critical nutrients, an increased physiologic demand on the body which "eats" up certain nutrients and a decreased consumption of real, whole foods as natural sources of vitamins and minerals. You should NOT be using a multivitamin in place of a healthy diet replete with many fruits, vegetables, and healthy starches! When we look at the numbers it's quite obvious that people believe in and use multivitamins. The numbers show that as many as 40-50% of men and women over the age of 50 (1) using a multivitamin almost daily. Like most research concerning vitamins and nutrients, it's not conclusive. Various studies show either a small benefit or no benefit at all, leaving the reader to decide how to proceed. This study showed (2) that using a multivitamin may help prevent cancer in certain individuals but conferred no benefit on cardiovascular disease or macular degeneration. This study (3), on the other hand, showed that using a multivitamin may help reduce the risk of anemia (iron deficiency), neural tube defects (in pregnant women), osteoporosis and may improve cognitive performance. One problem with these studies is that they may be too broad in scope, may include poor quality multivitamins as the test or they may not have gone on for a sufficient amount of time. When looking at studies such as these it's always important to try and consider your individual circumstance. For instance - if you are at high risk for multiple nutrient deficiencies, then taking a multivitamin will be more beneficial for your body compared to someone else who doesn't have those same issues. It's also important to consider other data such as known nutritional deficiencies especially in certain regions in the USA. It is well known that many people may have suboptimal serum levels of various nutrients such as zinc (4), iodine (5), Vitamin B12 (6), omega 3 fatty acids, etc. it's easy to conclude that a multivitamin should be beneficial - at least theoretically. Using a high-quality multivitamin is not harmful (according to studies) but may not be effective unless you have poor or suboptimal nutritional status. So if we can identify who is at risk for having suboptimal nutritional status then we can safely determine who would benefit the most from using a multivitamin. I would also add from personal experience that my practice suggests using a multivitamin (in the right circumstance) does indeed result in beneficial side effects. While not everyone will need to use a multivitamin I've compiled a list of people who may benefit from using a multivitamin. The research suggests that multivitamins tend to have the most benefit when used in people who have known deficiencies of various nutrients. In these individuals, taking a multivitamin may improve the overall quality of life and improve risk factors for many diseases. If you have a lifestyle or certain behaviors which may increase the demand for certain nutrients in your body or which doesn't allow for the proper intake (from food sources). The first and most important step to finding the best multivitamin is to look for one that contains all of the nutrients and minerals that you will need. 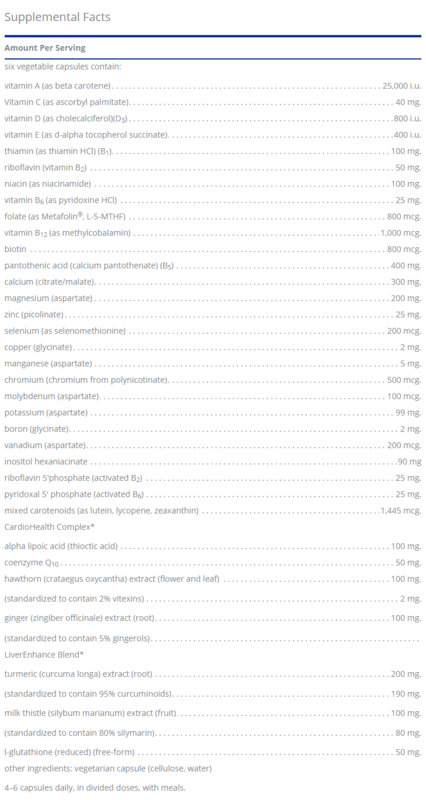 I've put together a "list" of what I consider to be the top priority in a multivitamin which you can read about below. In addition to getting a multivitamin that contains all of these ingredients you will also want to make sure they are in the right "form". For instance, magnesium can be bound to glycinate, citrate, threonine, and oxide. The compound that magnesium is bound to will determine how it interacts in your body. Magnesium citrate will be better for GI health, magnesium glycinate is better for systemic absorption, magnesium threonine is better for brain health, etc. Magnesium oxide, on the other hand, is simply a cheap and ineffective way to formulate magnesium that brings down the cost for the manufacturer but reduces the efficacy for those who take the supplement. This logic applies to other nutrients as well! Magnesium - Look for supplements that contain magnesium citrate or magnesium glycinate for superior absorption. You can learn more about using various forms of magnesium in this post. Zinc - Look for supplements with zinc bound to citrate or zinc bound to picolinic acid. Zinc is a powerful anti-inflammatory agent and it helps your thyroid function. Vitamin D3 - Look for supplements that contain at least 500 IU's per serving of Vitamin in the D3 form (cholecalciferol). The D2 form still requires conversion and is not as active as the D3 form. Vitamin B12 - Vitamin B12 should be in the methylated form of methylcobalamin. Avoid supplements which contain cyanocobalamin which may be less biologically active. Some people may benefit from using B12 injections over oral formulations. If you aren't absorbing B12 in a capsule you may also benefit from using sublingual formulations. CoQ10 - CoQ10 helps improve mitochondrial energy production and is ubiquitous in many cells in the body. CoQ10 is a fat-soluble nutrient that helps all of your cells function. Alpha Lipoic Acid - ALA for short, helps reduce inflammation, acts as an anti-inflammatory agent and may help with weight loss. Learn more about using ALA here. Chromium - Chromium helps regulate blood sugar and sensitizes the body to insulin. Vitamin A - Vitamin A is a fat-soluble vitamin which acts as a powerful anti-oxidant and plays a critical role in maintaining healthy skin, proper vision and may help fight acne. Vitamin C - Vitamin C is well known for its action as an anti-oxidant which may help proper immune function. Vitamin E - Vitamin E may help stabilize the cellular membrane of all cells and improve cellular function. Vitamin B1, B2, B6 - B Vitamins help improve energy production and help fight fatigue. Look for multivitamins that have a B-complex in them. Folic Acid - Folic acid should be in the MTHF formulation (more information below). Biotin - Biotin is a special co-enzyme which helps critical in maintaining your hair, skin, and nails. Iodine - If you aren't consuming sea vegetables or iodinated salt then you may have a slight iodine deficiency. Iodine is required for normal metabolism and thyroid function. Learn more about iodine supplementation here. Selenium - Selenium acts as an antioxidant, may help improve immune function and improve thyroid function. Manganese - Low manganese levels may promote fatigue and result in premature bone loss. Molybdenum - Molybdenum acts as an essential cofactor for enzymes and aids in the metabolism of fats and carbohydrates. Boron - Boron may help reduce arthritis, improve bone health, and improve GI function. Choline - Choline is similar to B vitamins in that it plays a critical role in energy production, brain function and your metabolism. Inositol - Inositol may help improve brain function, reduce depression, reduce anxiety and balance mood swings. Lutein/Zeaxanthin - These carotenoids found in red and yellow plants may help maintain your vision over time. Lycopene - Lycopene is a very powerful antioxidant which may improve heart health. You don't necessarily need to find a vitamin complex with ALL of these ingredients, but you want to look for one that contains as many as possible. The therapeutic dosage means the dose that you need to help you feel better (or the dose required to achieve a therapeutic level). What's interesting is that sometimes the therapeutic dosage for a given nutrient may be higher than the RDA for that same supplement. We've discussed why this may be, for instance, the lack of absorption of certain nutrients due to medications, etc. But the goal here is to make sure you are indeed getting ENOUGH of any given nutrient. Using B12 as an example you will find that the dosage for this supplement is often 1000% of the RDA (sometimes even higher). This may seem alarming at first, but it's rarely ever an issue. With the exception of Vitamins A, D, E and K most vitamins are what are referred to as water-soluble - meaning they dissolve rapidly in water. This is important because your bloodstream is primarily water and any excess vitamins or nutrients your body will eliminate through the urine. Fat-soluble vitamins, on the other hand, may be deposited or stored in fat cells in your body and may stay in your system for a long time. Most high-quality multivitamins have lower doses of fat-soluble vitamins and higher doses of water-soluble vitamins. Make sure you are AT LEAST getting 100% of the RDA for any given nutrient. Activated and pre-methylated Vitamins refers to how specific vitamins (in this case B vitamins and folic acid) are prepared. B vitamins and folic acid can come prepared in such a way that allows them to be more readily available and active once ingested. From a biochemical standpoint, your body must alter the chemistry of vitamins in order for them to be used in certain biochemical reactions. 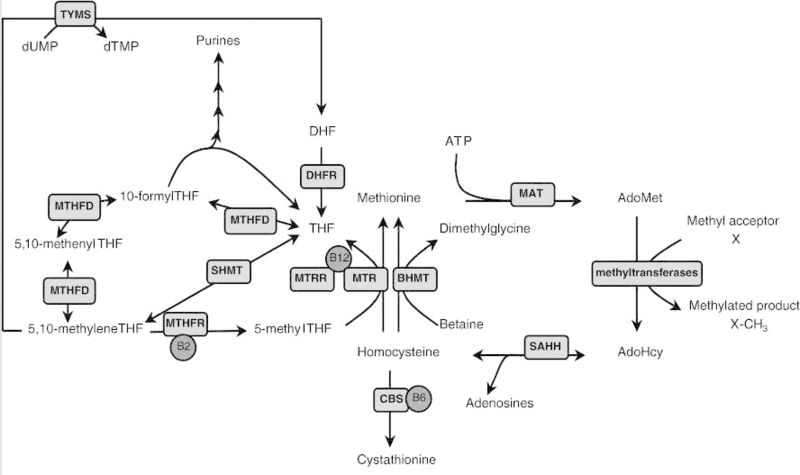 One such pathway is the methylation pathway which alters the composition of certain compounds through the transfer of a methyl group. This methylation pathway is incredibly important as it regulates cellular energy production, genetic expression of DNA, neurologic function (7), immune system function, and detoxification. Vitamin B12, if methylated, can act as a methyl donor to help this system function appropriately. This methylation pathway, in up to 30% of individuals (8), may not occur at an optimal rate (known as methylation defects). Which means that taking B vitamins and folic acid that are NOT pre-methylated may add an extra step that your body has to go through in order to effectively use the vitamin. You can bypass this step by using pre-methylated or activated vitamins. Before you purchase a multivitamin, or a vitamin complex that contains B vitamins plus folate, make sure they are either pre-methylated or come in an active form. This process is more timely and may increase the cost of the vitamin but it is worth it long term for your health. Some multivitamins contain inactive and poor quality ingredients that may cause adverse reactions when consumed. Artificial Sweeteners, flavors or added sugar - Avoid multivitamins that contain added flavors or added sugar. Fillers - Fillers help increase the volume of the powder in your multivitamin but they may cause gastrointestinal distress or decrease absorption. Dyes - Dyes are sometimes added to supplements to alter their color, avoid any extra coloring or dyes that may cause issues. Gluten, dairy or soy - If you suffer from food allergies it's best to find supplements that are considered hypoallergenic to prevent these issues. It's important to consider these factors because many times an adverse reaction to a supplement may not be from the vitamins themselves but from the added or extra ingredients in the capsule. This is even true of prescription medications which often contains fillers and dyes to help differentiate doses! These "extras" increase intestinal demand, may lead to intestinal distress and may lead to reactions such as headaches, minor rashes or gas/bloating. You can avoid these side effects by purchasing "pure" vitamins that do not contain these added ingredients. Beyond the "basic" vitamins some multivitamins may also contain added quality ingredients. Some of these "optional but beneficial" additives include milk thistle (to help with liver detoxification), turmeric (to help lower inflammation), glutathione (to act as an anti-oxidant) and ginger (to reduce inflammation). These ingredients may not be necessary for each person but they can help your multivitamin serve more than 1 purpose. Most people who are consuming a multivitamin are doing so for a specific reason. They may suffer from joint pain, arthritis, intestinal issues and so forth. If possible, it makes sense to combine your multivitamin with other quality ingredients to help any other problems you may be dealing with. Just make sure you get the right dosing of these added ingredients if you choose to go down this route! The best multivitamin is one that you will take every day, that has quality ingredients at the right dosages and one that does not have any unnecessary fillers or dyes. With that in mind, I've looked at two different multivitamins below that fit all of these criteria. I wouldn't recommend the use of these multivitamins unless you fit some of the other criteria for "who should use multivitamins" above, however. The problem with multivitamins is that they try to pack as many nutrients into 1 vitamin as possible. The issue is that there is only so much space in each capsule which limits the total dose that you can get. Cut out some important vitamins or simply reduce the dose of all vitamins to small amounts. The issue with reducing the dose is that you may not reach a therapeutic benefit which can be a problem for some people who need higher doses of vitamins. You can eliminate both of these issues by using what I call a powerhouse multivitamin which contains ALL the necessary vitamins and nutrients. You must take 6 capsules per day to get the desired dose. It's also not necessary to take a multivitamin with these dosages forever. The idea is to replete vitamin stores in your body and then reduce the dose to a once a day multivitamin if necessary. This multivitamin covers all of the necessary and basic vitamins you would need including extras such as CoQ10, ginger, turmeric, milk thistle, glutathione, and alpha lipoic acid. For best results, you will want to use a powerhouse multivitamin such as this for 1-3 months with up to 6 capsules per day. Note: This type of multivitamin is best for those who know they are deficient in multiple nutrients and want to replete these levels quickly. Another alternative is to use a multivitamin which is not quite as comprehensive but only requires 1 capsule per day. This type of multivitamin is commonly known as a "1-a-day" multivitamin and while it isn't perfect, it still may be a good option for many people. Taking 1 capsule per day is much easier than taking 6 and because the dosages tend to be smaller the price is not quite as high. You will notice right away that the dosages are much smaller and the entire list is not quite as comprehensive as the powerhouse multivitamin. And this is okay for many people who are just looking to keep their nutrient status in tip-top shape. The best way to use this type of multivitamin tends to be after you've repleted all vitamins and nutrients with multivitamins such as the powerhouse listed above. This multivitamin also contains all of the requisite and necessary vitamins and minerals. Taking this supplement daily for up to 6 months may help, especially if used during stressful times (during illness, during periods of heavy travel, when you can't consume enough regular fruits/veggies, etc.). By following certain tips you can reduce the need for using a multivitamin each and every day. If you find that you "need" to use your multivitamin daily then there might be areas in your life that you can improve upon which may reduce your need for excess nutrients. Regardless of whether or not you use a multivitamin, you should use these steps! Don't take your multivitamin forever - While studies don't necessarily suggest harm in taking a multivitamin daily for a long period of time, I think there is a better approach which includes taking supplements that target the issues you are dealing with and trying to get as many nutrients as possible from your diet. If you find that consuming real, whole foods are difficult for you then taking a multivitamin may be a good idea but just make sure that you take a very high-quality supplement - especially if you plan on taking it for many years. Eat a real, whole food based diet - Your #1 goal should be to get your nutrients and vitamins from the food that you eat. This means fruits, vegetables, healthy starches, nuts, etc. Use supplements that target the issues that you are dealing with - What I mean is this: if you are overweight then use supplements that help with weight loss, if you have issues with blood sugar then take supplements that manage blood sugar, if you suffer from low energy then take supplements that improve energy levels, etc. Don't take a multivitamin in hopes that it will cover all of these very different areas. Your multivitamin should only be used to replete basic levels. Exercise, exercise, exercise - Exercising regularly will reduce the need for excess nutrients, improve your overall mood, help regulate your weight and keep your metabolism running normally. Reduce the impact of stress on your life - Excess stress will deplete certain vitamins and cause increased demand on the metabolic and biochemical systems in your body. By reducing your stress you can reduce the demand for certain nutrients and therefore reduce the need for daily supplements. 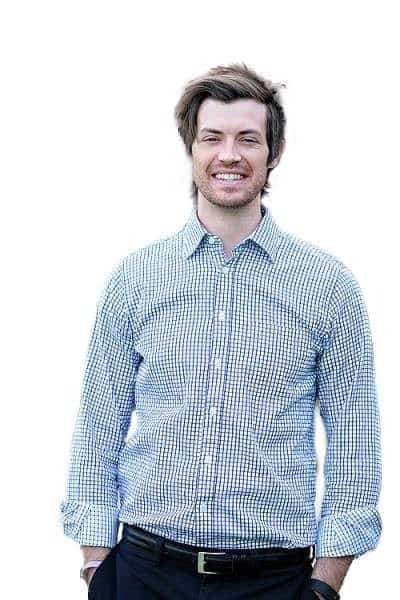 You can learn more about stress management here. Taking a multivitamin can be a powerful tool to help improve your overall health. With that in mind, it doesn't mean that every single person should be taking one every single day. People who may benefit from a daily multivitamin include those who are under tremendous stress constantly, people who don't consume enough vegetables/fruits, and those who may be taking certain medications. If you don't feel optimal, if you have low energy, if your cognition isn't what it used to be, then you may be suffering from suboptimal nutrient status and a multivitamin may potentially help. When purchasing a multivitamin make sure you use only high-quality suppliers to avoid added dyes, fillers, and inactive ingredients. Are you using a daily multivitamin?